Greece is the word at iconic Melbourne restaurant The Press Club, where Executive Chef Reuben Davis delivers fine dining, re-imagined. An intimate and relaxed dining experience awaits with 10 booths and an atmosphere decidedly different from George Calombaris’s original restaurant next door, while Reuben’s ever-evolving menu combines old world ingredients with new techniques. 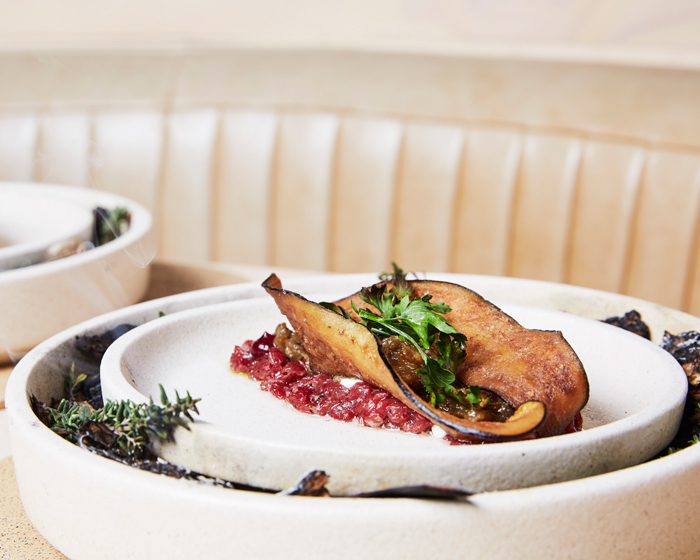 An 80s playlist adds to the ambiance, while supple leather and sculptured copper bring a sense of occasion to degustation and a la carte menus, boasting dishes such as eggplant kleftiko, wallaby, pomegranate, tahini and parsley. "This dish really highlights what we are trying to achieve at The Press Club,” Reuben explains. "It is inspired by Greek heritage and culture, but that heritage is seen through a very Australian lens. 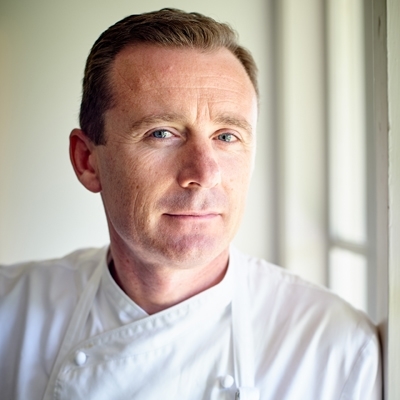 Having worked alongside some of the most celebrated Chefs in the world, Reuben’s eye for detail and commitment to the kitchen set him apart from the pack. 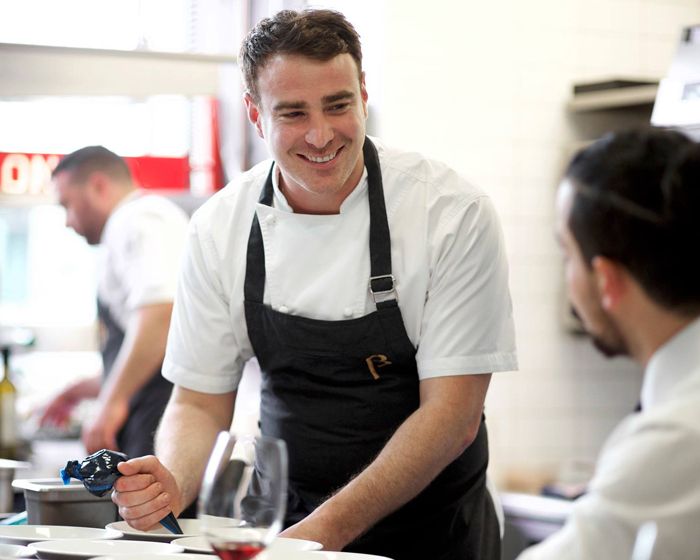 Beginning his career in the United Kingdom working under Jason Atherton at Michelin-starred Maze in London, Reuben moved to Pollen Street Social and within five months of opening the restaurant was awarded a Michelin Star. 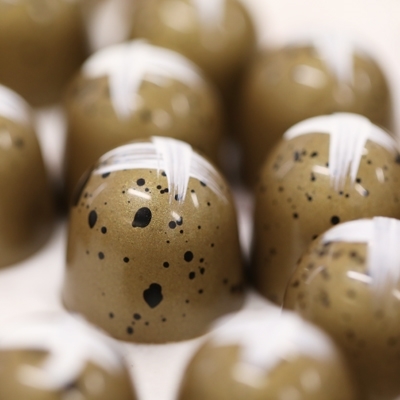 In 2012, he decided to pursue his career further and moved to Nottingham to work with Sat Bains, where he quickly proved his skill and helped develop new dishes for the menu, alongside the acclaimed Chef. 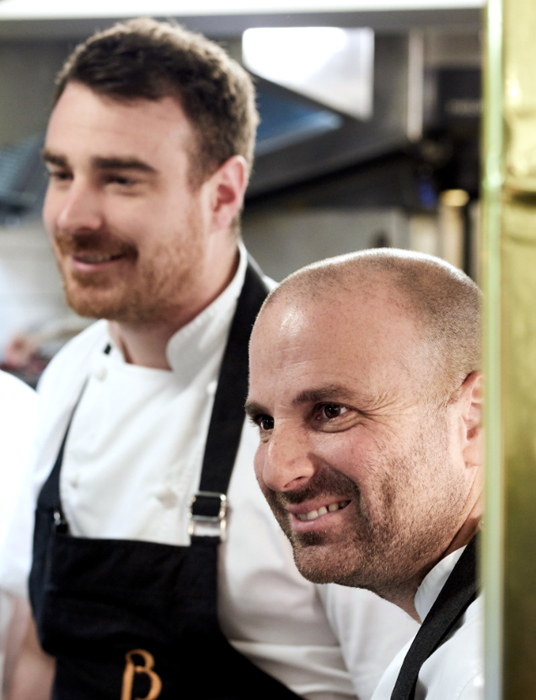 Reuben with Chef, George Calombaris. 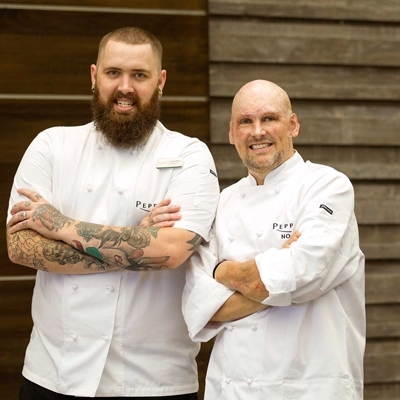 Australia beckoned as a challenge and Reuben secured a position at The Press Club - spending most of 2016 travelling with George Calombaris as his Development Chef and then at the helm of the restaurant. 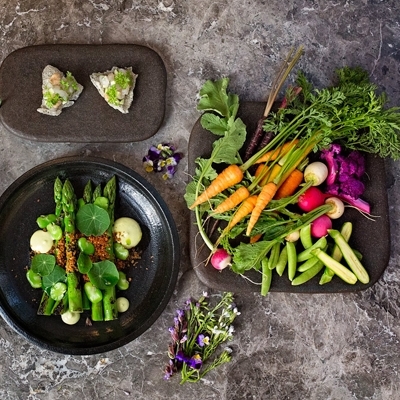 He regularly hosts private groups and masterclasses for small gatherings, showcasing his skills and allowing guests to enjoy his plated creations. Be prepared to take your tastebuds to Greece, click here to cook Reuben’s wallaby dish at home.